Creamy arborio rice loaded with shrimp, spinach, goat cheese, Parmesan, and peas – this easy shrimp risotto is a winner. Everyone loved it when I served it for for dinner last night. I came up with this easy shrimp risotto by combining two recipes – the grand prize winning recipe for hearty shrimp risotto in the February/March (2012) issue of Healthy Cooking and Ina Garten’s recipe for easy Parmesan “risotto” in Barefoot Contessa How Easy Is That? 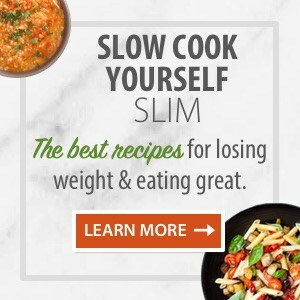 : Fabulous Recipes & Easy Tips. As Ina explains, her recipe isn’t a classic Italian risotto, it’s an oven-baked easy shrimp risotto based on a process she discovered in one of Australian cookbook writer Donna Hay’s books. Ina’s recipe calls for Parmesan and peas. The Healthy Cooking shrimp risotto recipe includes shrimp, spinach and crumbled goat cheese. I decided to use all of the above. While more isn’t always better, this time it definitely was! Arborio rice is an Italian short grain rice with a high starch content used to make risotto. If you are in a pinch and can’t find Arborio, medium- or short-grain rice should work. 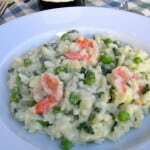 This easy shrimp risotto recipe was a winner with everyone who tasted it. It’s definitely a do-over! 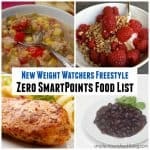 According to my calculations, each 1-1/3 cups portion has about 403 calories, *10 Weight Watchers PointsPlus and *9 WW Freestyle SmartPoints – following the new WW Freestyle Guidelines. Simple, healthy and delicious creamy oven baked risotto loaded with shrimp, spinach, spinach, goat cheese and Parmesan. Place rice and 4 cups of the simmering stock in a Dutch oven, such as Le Creuset. Cover and bake for 40 minutes, until most of the liquid is absorbed and the rice is al dente. Remove from the oven and stir in the shrimp and spinach. Return to the oven and cook for 5 minutes, until the shrimp are pink and the spinach is wilted. Remove from the oven and add the remaining cup of chicken stock, the Parmesan, goat cheese, wine, olive oil, salt and pepper. Stir vigorously until the rice is thick and creamy, 2 to 3 minutes. Add the peas and stir until they are heated through. 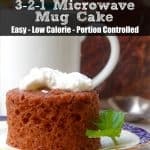 This recipe is excellent and can be modified in lots of different ways. 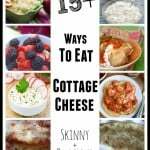 Substitute all Parmesan if you don't like goat cheese. 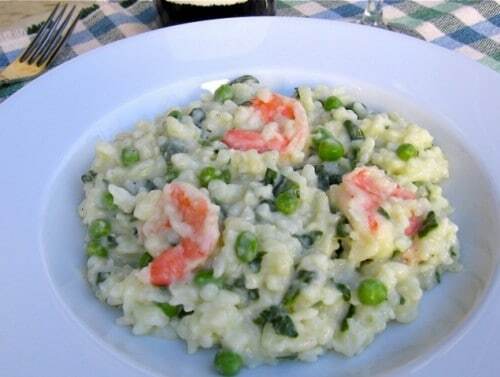 Or leave out the shrimp for a yummy vegetarian risotto. Source: Healthy Cooking and Barefoot Contessa How Easy Is That? 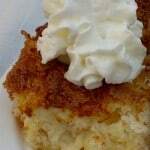 : Fabulous Recipes & Easy Tips by Ina Garten. 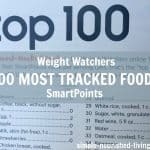 I just goggled today of controlling my hungry signals and loosing weight. Your site came up. My quest for information on this was satisfy upon scanning your articles. Thanks so much! I have been without a regular job since August and since then, I believe, have gained 15 pounds (makes me think of “Freshman 15”, but this I never experience). With being eligible for food stamps and having more on my “food budget” than I have ever had along with getting bored since I can’t afford to do exciting activities like I used to be able to, I have had fun with food. Today, upon obtaining records, I met a old classmate who stated “Oh, you are pregnant”. This comment led me to weigh myself and found myself to be 179. When I was pregnant, no one ever made this comment to me. Some did ask if I was when I was in my last trimester weighing in the 150 range. Your article about stress levels relieve some tension that I was feeling today as well. Until today, I was feeling great about myself and knew that I needed to loose some weighing believing that I was in the 160 range. The comment and seeing how much I really weigh freak me out to go some searching on-line. I’m going to plan my meals with your recipes with my next month’s food stamps. I would admit that I have been more concerned about finding full-time, regular, work than anything else and spending much time on my but typing away resumes and job searching. Again, thanks so much for your creative writing skills in this knowledge of hungry pains. I will drink more water now on as well. Having regular e-mails from your site and FB links will keep me motivated. Next plan of action will be finding folks to exercise with on a regular routine. Any other suggestions or feedback would be appreciated. Thanks for your thoughtful comments. 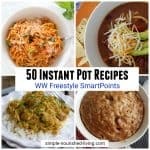 I hope my article and recipes help you find your way back to a happy, healthy, balanced life. You are so smart to recognize what has happened. Many of us turn to food as a substitute for something else that is missing, using it for for “fun,” “entertainment,” “distraction,” “comfort” and so on. Your experience reminds me of mine back more than 20 years ago when I knew I had gained weight but didn’t really realize how much until I saw a New Years picture of myself and couldn’t believe my eyes. I had been in denial too, believing I was in the 150 range but when when I got to my first Weight Watchers meeting I was 167. It was a shock but with time and patience and changes in my eating/exercise I was able to lose the weight. You can too! Drinking more water is a great place to start!! Eating more fruits and vegetables will help a lot too. They work like magic for me. Best of luck and let me know if there is anything else I can do. I hope you find a great job soon! !